Like any successful double act, both branding and marketing are essential partners. Each is distinctly different and every business needs both. Recognising their roles and how they complement each other helps to build a better business with more value and a longer life. The line between branding and marketing has often been confused – the terms are interchangeable in some people’s minds. To understand the differences we first need to define the true meaning of ‘brand’. A brand is not a logo or an identity system – it’s much more than that. It is not a product or service either. If you think of it as a company’s reputation, you’ll be getting warmer. In fact, it is a person’s perception, or gut-feeling of a product, service, experience, or organisation. For that reason you can never ‘own’ your brand, you can only try to manage it. It could be said, if marketing’s the talk then branding’s the walk. Branding is a pull tactic. Marketing is a push tactic. Branding is who you are. Marketing is what you do. Branding is long-term. Marketing is short-term. Branding builds loyalty. Marketing generates a response. Branding creates value. Marketing extracts value. Branding appeals to emotion. Marketing appeals to reason. More often than not, “brand” has been the responsibility of the marketing department – considered as an early strategic phase of a marketing plan. And certainly a brand should always be clearly defined before any marketing takes place. But if you subscribe to the idea that a brand is influenced by everything an organisation thinks, says and does, it has to be the duty of every department to execute the brand promise. So the creation of a brand team, with heads from each department, can ensure business strategy and brand experience remain aligned. In larger organisations, this would be under the stewardship of a brand manager or in SMEs, the marketing manager or CEO. There are, after all, many more elements to the brand experience than the comms channels. 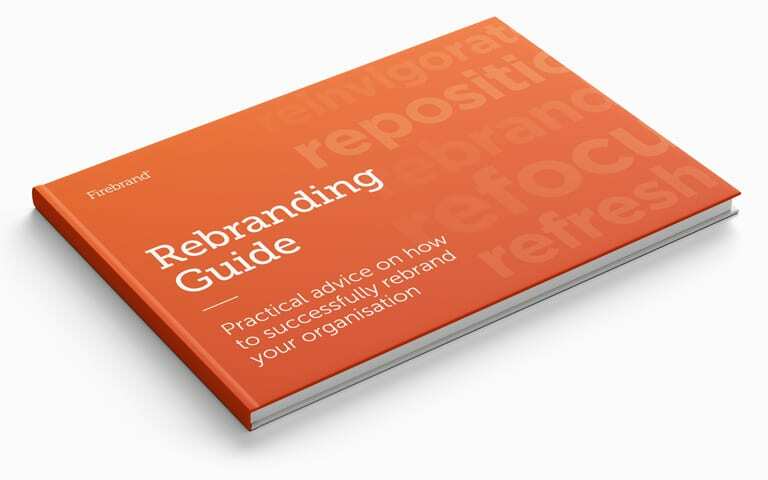 This is particularly evident in B2B organisations where invisible branding is more dominant. Here, for example, the CEO vision, staff training, pricing strategy and customer relationships can have as much influence on the brand experience as product quality does in a consumer market. Once the brand is built, marketing retains the essential role of communicating the brand to the audience but, unless the brand comes from within, there can be a disconnect between the marketing messages and the customer experience. A strong, defined brand makes marketing more effective by providing a compass for consistent communications. Marketing can make you aware of a certain car rental company and their latest promotion, but it is branding that will ultimately make them your preferred choice, time after time. Likewise, marketing may promote a new style of sports trainer to you, but branding will create lifelong loyalty and command a higher price. 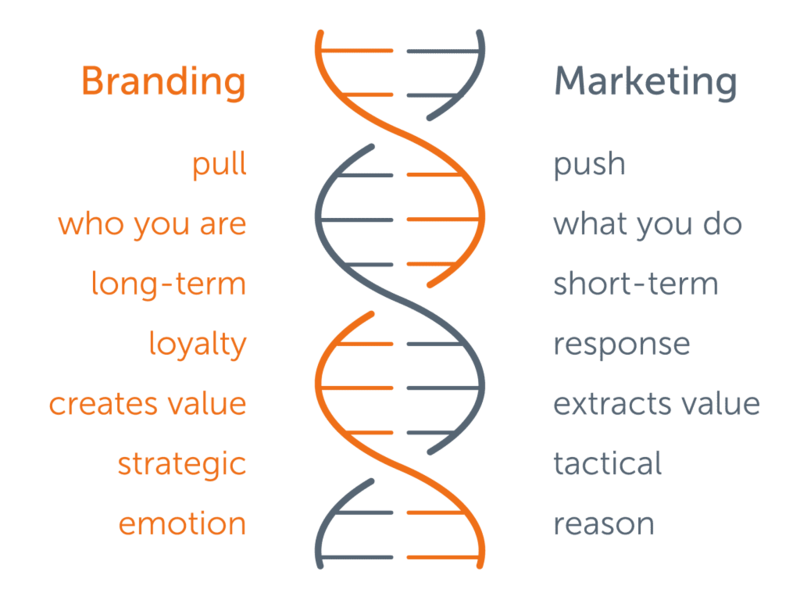 What are the steps to make branding and marketing work together? Define your brand, what it stands for and what your audience needs. Develop your brand strategy. How will you be different? Align brand experience with a business strategy using finely-tuned touchpoints. Set up a company-wide brand team to join the dots and ensure a seamless experience. Create an employee engagement programme. Use the core brand principles to create marketing campaigns that are aligned and consistent. Revisit the alignment on a continuing basis.